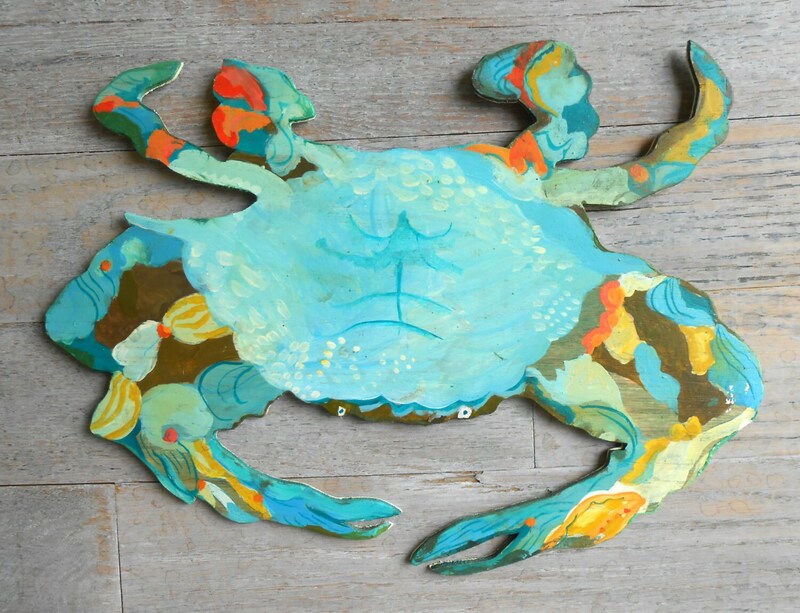 Blue Crab wood sign by Kimberly Hodges. 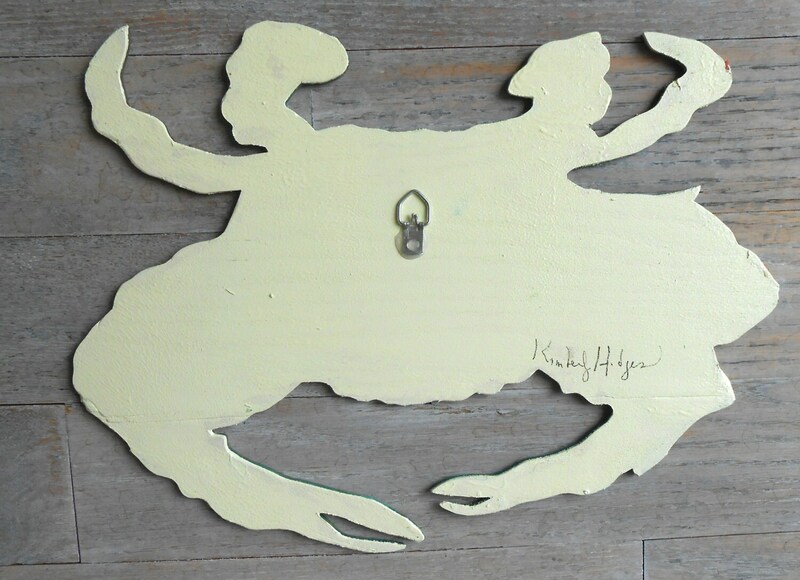 Add a little coastal cheer to your beach house, lake house, bathroom, kitchen, or hallway. Highly detailed vibrant colors of my original painting printed on wood in beautiful shades of blue and coral. I make subtle surface carvings on the surface in addition to the many layers of paint and detail. Hanger on back for easy installation. Ships via USPS within 3-5 business days of your order. I have many sea themed wood pieces including whales and narwhals so check out my painted wood section in my shop. Beautiful blue crab. Bright colors will make a bold statement. Promptly mailed and well packed. I loved my crab so much that I purchased one for a friend's birthday. It arrived in time and she loves it. Thanks so much. Love the crab...the colors are beautiful. Thank you.